Theatre students rehearse on stage for their fall play. It’s that time of year again, fall’s arrival means many things for the WS community, and one of those things is the annual fall play. 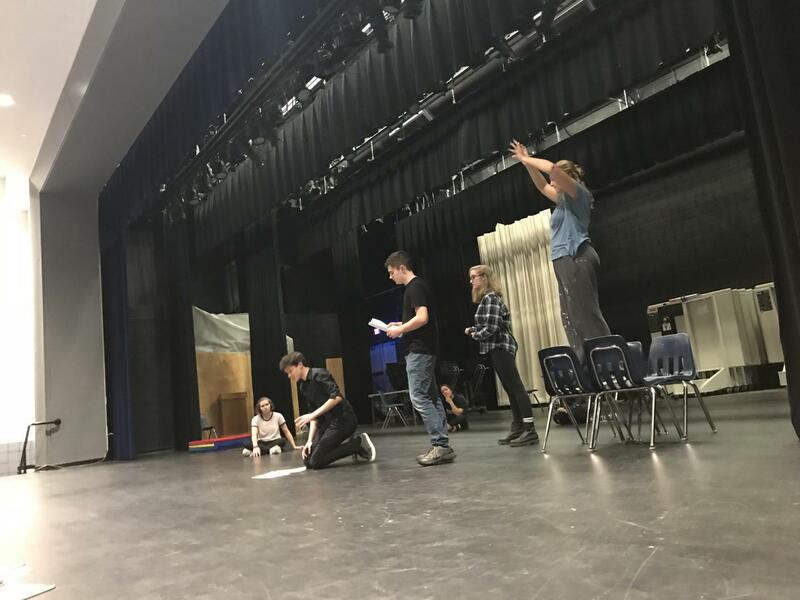 This year the theatre department is gearing up to do a unique play that they hope the WS school and surrounding community will enjoy. The play is about a young boy named Ben who has a monster living under his bed, and when the two switch places for a day, craziness ensues. The students work extremely hard to get the play performance ready, even without the number of people a show of this magnitude would have working on it in the professional theatre world. “So much work goes into these productions, both from the actors and the crew. Shows, especially ones like this that are tech heavy take weeks of prep time. But all that work is well worth it when the show turns out so well,” said junior Alexis Becker. Auditions have already taken place and the actors are hard at work rehearsing every day after school. Not only the actors work hard however, the students on the tech and design meet weekly to discuss their roles and to plan for the upcoming performance. The play is proposed to be different to anything the department has done in the past, a show focused on young audiences, featuring a giant puppet. However, the play is not just for children, and all WS students are encouraged to experience a play that is sure to be unique. So look out for this year’s fall play, and all of the featured WS actors, tech and design students, and all others who continue to work hard to put out what will be a unique performance.